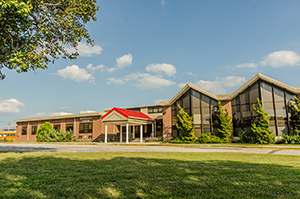 The Ocean City Intermediate School (OCIS) is made up of students in grades four, five, six, seven, and eight, residing in Ocean City and Sea Isle City. OCIS is a school, like the district, that is “committed to excellence” and our highly qualified, excellently prepared, well-trained, and intrinsically motivated staff allows this commitment to occur. The school is supported by a community that recognizes the effort to focus upon what is best for all of the students in Ocean City. OCIS has enjoyed a rich history of academic and co-curricular excellence that is a result of the hard work and partnership between our staff, the community, and our parents/guardians. All stakeholders of OCIS strive to improve the academic performance of each and every one of our students. We strive to perfect our communications between all segments of the community, including our sending districts. 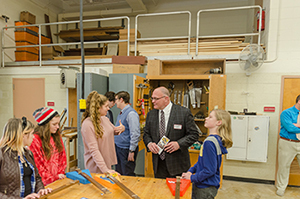 The educators at the Ocean City Intermediate School are focused on respect, hard work, dynamic lessons and modeling that will ensure a school environment that provides instruction to meet the needs of each and every student. All students at OCIS meet in an advisory setting with his/her teacher or teachers to set academic and test-related goals for the year. A new master schedule has been developed to meet the academic needs of the students, creating more opportunity for the students to achieve. At the same time, we directly involve the students in being accountable for growth in student achievement levels. On the most recent NJ School Performance Report the growth of the OCIS students was deemed to be “high when compared to schools across the state”. Individual plans, for all OCIS students, are signed by the students, the teachers, the parents/ guardians -- and by me. Ownership in student growth, by all stakeholders is supreme, and we value the role of our parents/guardians, staff, and community members. Each and every one of these vital groups has an important role in making our students continuous, life-long learners. Our educational programs are academically challenging; engage each student by making connections to previous knowledge and life experiences; are relevant and involve rigorous curricula; and at the same time are exciting and captivating. Our staff has worked hard to align their curriculum and instruction with the New Jersey Student Learning Standards. 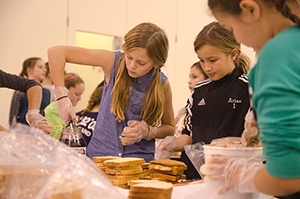 Outside of the classroom, students are encouraged to act locally and globally, that is, to be contributing members of the school community, the local community, and the global community. Whether students are interacting or bringing cheer to the residents of the local senior home, raising money and/or collecting food and supplies for those less fortunate, campaigning for designated drivers, sending well wishes and items to troops overseas, collecting toys for those children without, or simply improving our Ocean City beaches, the entire Ocean City Intermediate School family strives to improve academically and to truly make a difference as human beings.